I have been battling with them for 3 years now, since I purchased one 99-cent plant, innocently believing I had to have them. Now they are everywhere and they grow quickly and no matter how many times I chop off, mow over and uproot, their will to procreate is greater than my ability to control them. 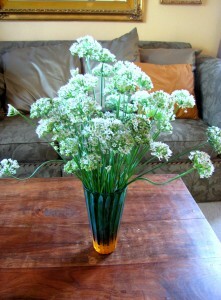 So, I decided to disrupt the bee-feast and bring some in to enjoy, for the flowers are nice and long-lasting. But now I smell like garlic. All the better to keep the vampires away. That is correct! 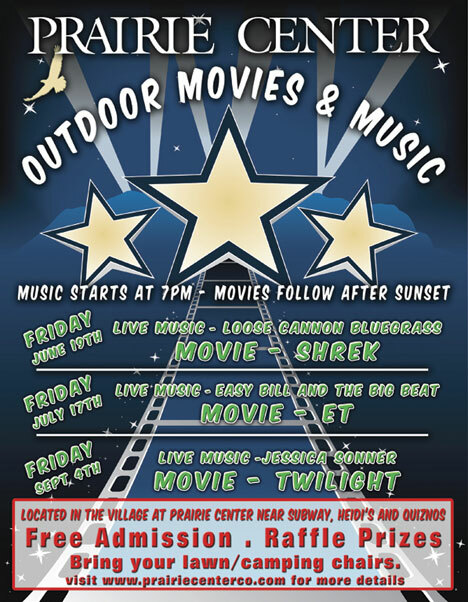 TONIGHT (September 4) ~ An outdoor showing of TWILIGHT!!! It is here in Brighton at the Prairie Center (just southwest of I-76 and Bromley). Live music starts at 7 o’clock, the movie at sunset. You know what fans we are of Twilight. It isn’t a Vampire story. Trust me. It is a love story! Well, I guess it is a vampire love story. Too many to list, really. You can go here: http://www.imdb.com/title/tt1099212/quotes or any-stinking-place on the internet. Twilight is everywhere! Edward: What? Bella: I can’t dance. Edward: Well I could always make you. Bella: I’m not scared of you. Edward: You really shouldn’t have said that. Edward to Isabella: Your scent, it’s like a drug to me. You’re like my own personal brand of heroin. Edward: Do you trust me? Bella: In theory. Edward: And so the lion fell in love with the lamb. Bella: What a stupid lamb. Edward: What a sick, masochistic lion. My fave is isnt a line but Emmet waving with the knife in his hand as Bella is introdced to everyone. o yeah, baby! so there!